Happy Twentieth of January to all the Epicureans everywhere! 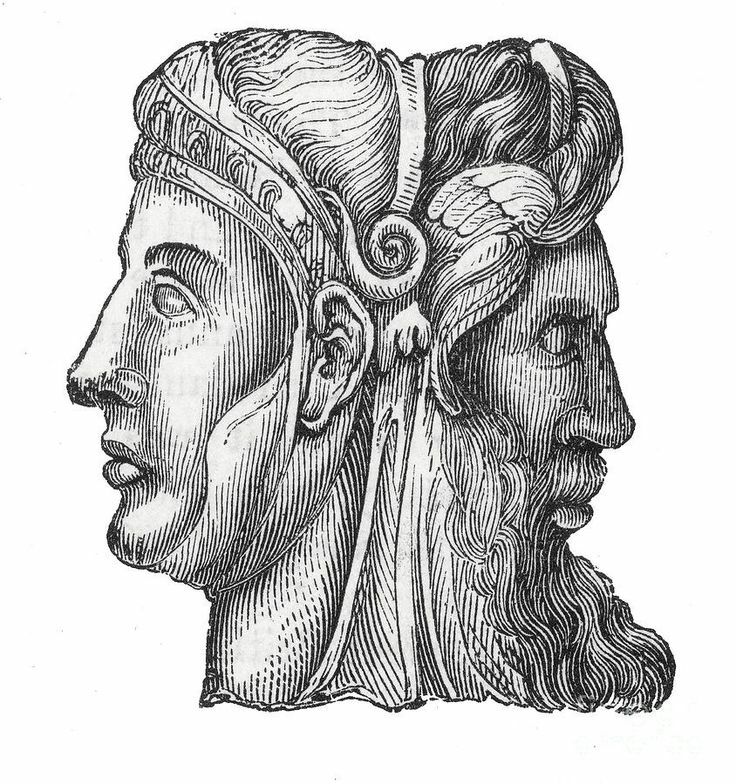 The month of January draws its name from the Roman God Janus, of two faces, who stands at the threshold as the Old Year / New Year personified, holding a key to mark new beginnings and new doors that must be opened. It’s a season to look back and reassess the past, and to look forward and plan for the future. It’s a new year with new challenges, and we need more Epicureans and more public and private intellectuals capable and willing to reason empirically! In solidarity with the clarion call that is being made by people who defend science from the religious attacks by creationists and climate-deniers that will become more frequent in the next four years, I would like to first of all share this video by Clearly Stated titled Make America Think Again. Clearly Stated is a free media initiative that seeks to educate people about science, in particular about biology and Darwinism. Their videos are very professional and engaging, in addition to providing interesting information against the backdrop of disinformation that we unfortunately are swimming in. Please support and share their videos! We Epicureans have always done our part to encourage critical thinking based on empirical reasoning. From the onset, our tradition was the only missionary doctrine of secular humanism that the Greeks produced during the Hellenic Era, as narrated by Norman DeWitt in his Organization and Procedure in Epicurean Groups, and in other sources. The general guideline was that, even if one could not become a teacher or missionary in the traditional sense, if we all adopted the attitude of “each one teach one” and studied together, being mentors to those with less experience, we could help build strong-minded intellectuals able to profit from this noble philosophy of human happiness and self-sufficiency, while building bonds of blessed friendship in the process. For instance, ancient Epicureans sent humanist missionaries to the Middle East to teach atomist physics and hedonist ethics: Philonides of Laodicea was an Epicurean missionary to Syria, a country today besieged by the most vulgar expressions of religious fanaticism and violence. Today in the age of information, we have instead bloggers and content creators engaged in projects like Society of Epicurus, the Epicurus Blog, Elemental Epicureanism, and New Epicurean. Some of our comrades are fallen. A few years ago we lost Jaako, from Finland, in honor of whose memory Ilkka created the Menoeceus Blog. He had cancer and knew he was dying, and days before his death he wrote a departing blog entry–titled Is it finally time to say goodbye?–where he shared with us details about his life that were much more personal and intimate than the philosophical content that he was used to writing. I recently realized that his amazing blog–titled Being Human: Secular sermons for free minds–had gone offline, and scrambled to figure out whether there was a back-up somewhere. Ilkka provided me with this web.archive.org link. We are happy to have preserved a bit of his memory for the benefit of future generations. There has been increased renewed interest among content creators in Epicurus. New blogs like The Epicurus Project were recently inaugurated–this last one’s author Mark Walker has also created two other Epicurean-themed blogs: one that explores the links with positive psychology, and another one that tells a fictional story. Here he defends Epicurean moral realism. There’s also Peter St Andre’s Letters on Happiness, which contains a collection of the teachings in the form of an exchange of letters between friends. Hopefully more thinkers will share their interest in philosophy in the coming months and years so that we can continue to carry the each-one-teach-one tradition forward for the benefit of countless future generations. This entry was posted in Epicurus. Bookmark the permalink.